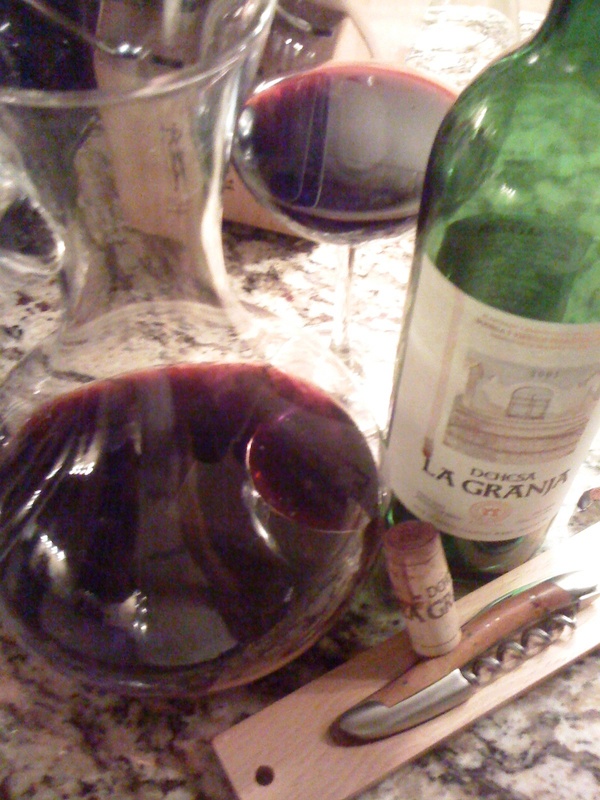 Wine | What are you drinking? My beautiful wife and I got married in the vineyards of Gold Hill Winery in Coloma, California. A fantastic setting to begin our life together. We decided to go back to wine country to celebrate our 10th anniversary and visited wineries in Napa, Alexander and Anderson Valleys. We absolutely love the quiet ease of the Anderson Valley wineries, the friendly charm of the people and the gorgeous landscape. It reminds us a bit of the Willamette Valley in Oregon – great wine without the congestion of throngs of tourists like in Napa. We had rented a lovely house on the cliffs overlooking the Pacific in Irish Beach, just south of Mendocino, so the trip over to Anderson was convenient. Lost in the romance of the moment, we made a rookie mistake – and mind you we are not wine tasting rookies. We joined the wine club at the last winery we visited at the end of a long day of sampling fantastic wine. Husch Vineyards has a charming little tasting room in a rustic converted pony barn. The grounds have the graciousness of an antebellum plantation guarded by majestic, centuries old redwood giants. The wine tasted fantastic. We went through the entire roster and into the library wines. All of them delicious. Doesn’t all wine taste better after you’ve already had 15 glasses? Not long after we got home, we received our first club shipment from Husch. A nice enough selection of reasonably priced wines. Last night we popped opened one of the gems, a 2007 Reserve Pinot Noir. Here are the winery’s tasting notes. This wine was like a big budget Nicholas Cage film. It had promise. I approached it with the anticipation that a known star deserves. But, it was a Nicolas Cage flick. Shoddy acting, weak plot and thin entertainment. Don’t get me wrong, I enjoyed it, but it didn’t live up to expectation. Instead of velvet, the mouth feel was thin. I wanted a glass full of bright cherries, but got aged fruit. In place of a vanilla kiss of French oak, it brushed me with smokey coal. This bottle retails for $35. My advice, take that cake and go buy 2 delicious Spanish reds for $17 each instead. 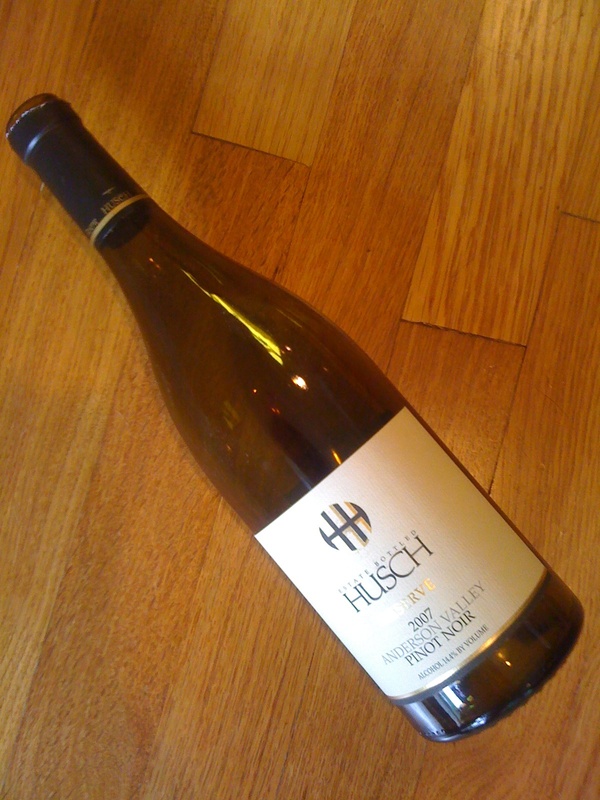 If you are ever in Northern California, make the effort to visit the wineries in Anderson Valley, and don’t miss Husch. You’ll love it in person. Check out this interesting chart on wine and food pairings.